We love to tell the stories of our incredible donors and the impact their generosity has on New York and beyond. We also provide practical articles on tax and estate planning. Read our publications online or contact us for complimentary print copies. This book contains a special report on how we combine bequests to help seniors stay healthy and connected. It also lists more than 2,000 funds in The Trust, select grantee organizations, complete financials, interviews with donors and professional advisors, and highlights from our competitive grantmaking program. You can read the PDF by clicking the button below or you can read in Issuu. 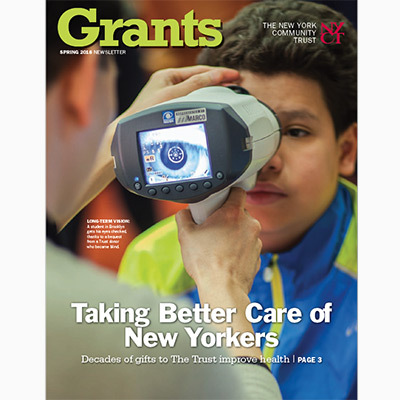 Stories about promising new grants, and those that have made an impact. 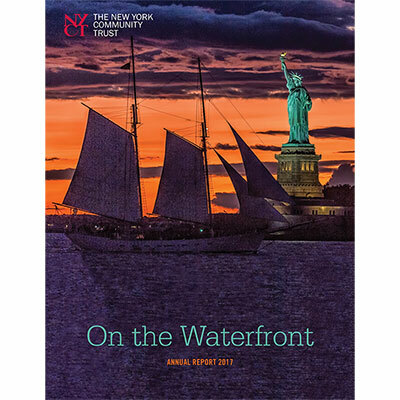 You’ll also hear from board members, donors, and staff in this quarterly publication. You can get it in your inbox by signing up in the footer of any page on our site. 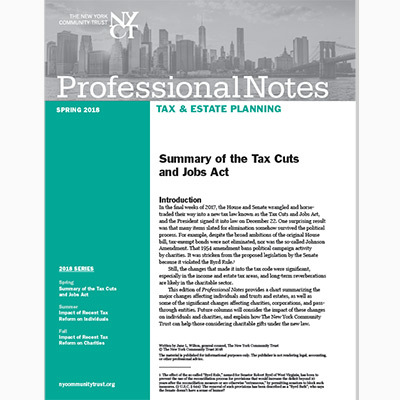 Articles are published three to four times per year on topics of interest to the tax and estate planning community. Click the button below to see a full list of recent articles. Among our promises to donors is that grants will be made in their names—forever. 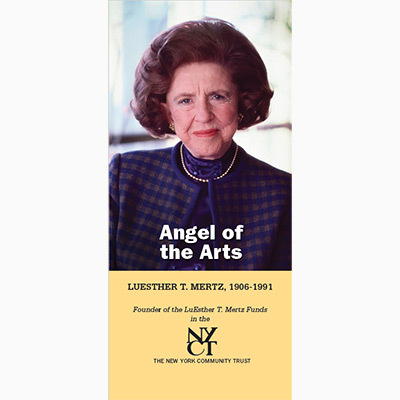 As a further memorial, we also write biographical sketches of donors who have set up permanent funds. The sketches are available below as PDFs, or we can also send you hard copies of your choice of sketches. Order them online or contact Amy Wolf at (212) 686-0010 x234. Adler, Frederica M. & Morton L.
Shaw, George Hamlin & Florence B.
Williams, Mildred Anna & Henry K.S.